Probably the most famous source on slavery from the slaves’ viewpoint is the WPA Slave Narratives, compiled by the Federal Writers’ Project of the Works Progress Administration from 1936 to 1938 as part of Franklin Roosevelt’s New Deal programs to provide relief during the Great Depression. 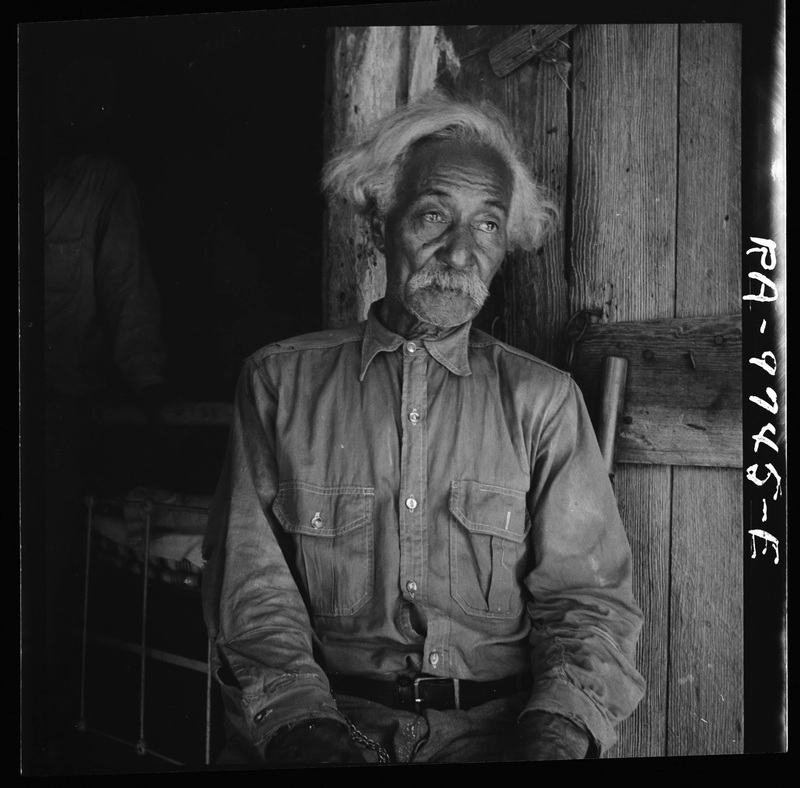 Folklorists working for the WPA interviewed surviving ex-slaves across the southern United States, assembling a collection of over 2,000 narratives (now available online). Although the narratives are problematic because they occurred in Jim Crow South, which made some former slaves less than candid with their often white interviewers, and the advanced old age of the persons’ interviewed (most were in their 80s or 90s), which left their memories sometimes hazy, and the fact the narratives were rarely a verbatim account of ex-slaves’ comments (but usually instead a filtered summary produced by the folklorist), the WPA Slave Narratives still are a powerful window into slaves’ experiences with and their perception of the peculiar institution. This past Thursday, the Washington Post published a photo essay of portraits of ex-slaves interviewed by the Federal Writers’ Project in the 1930s. It is a moving collection of images of former bonds people in the twilight of their lives. Some of the government photographers that took these images became famous for their work. For example, the portrait above of Bob Lemmons was shot by Dorothea Lange, best known for another picture entitled “Migrant Mother.” This image and those featured in the Post article are now in the collections of the Library of Congress, and many of them can be viewed via their website. Excellent posting. And I must say, as a professional historian, that despite their flaws the Slave Narratives are an outstanding primary source on U.S. slavery. Agreed. But one of these days I am going to post on Special Examination testimony of ex-slaves from Civil War pension files, which has the potential to rival the WPA Slave Narratives, if it ever could be mined from all those disparate pension files. Yes, I read the article “Voices of Emancipation: Union Pension Files Giving Voice to Former Slaves” that you and Elizabeth Regosin wrote. Fascinating stuff!